By Rean in Artwork. Updated on February 28, 2016 . 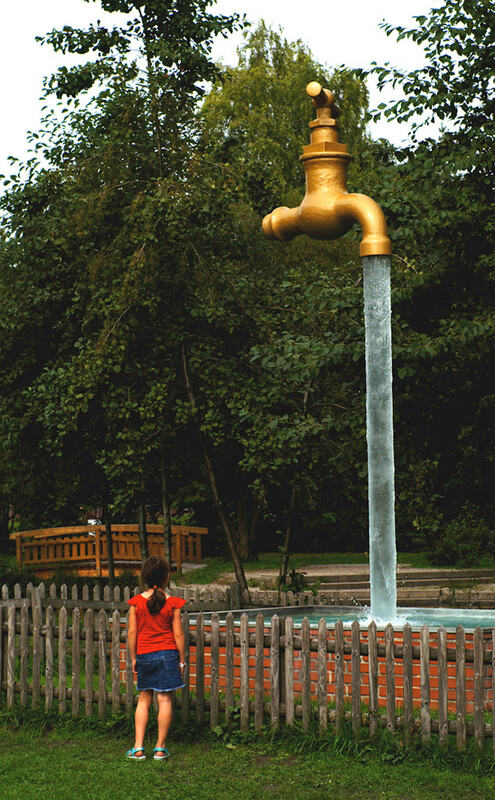 In this post we will be looking at 25 jaw-dropping statues that suspend not only the laws of physics but also our belief in the norm. 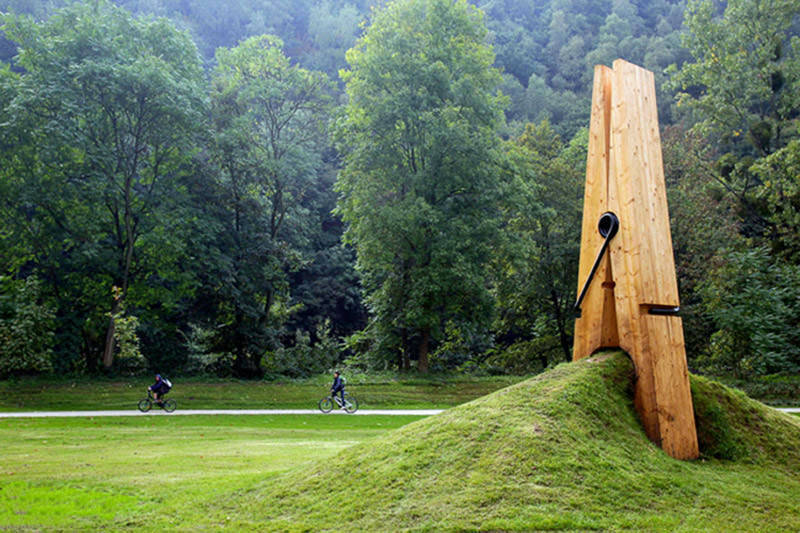 I hope you will have as much fun as I did, having my mind twisted and boggled by these amazing sculptures. And if these are not enough, follow the credit source and check out more amazing art by the masters on their website or account. 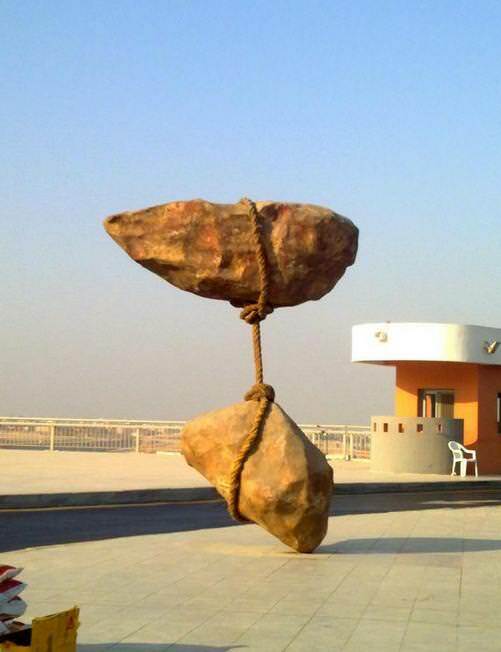 The poor stone is trying to “hang on” to its friend, who is at the verge of floating away! Bet you can’t pull off a horizontal handstand, er, I mean trunkstand. 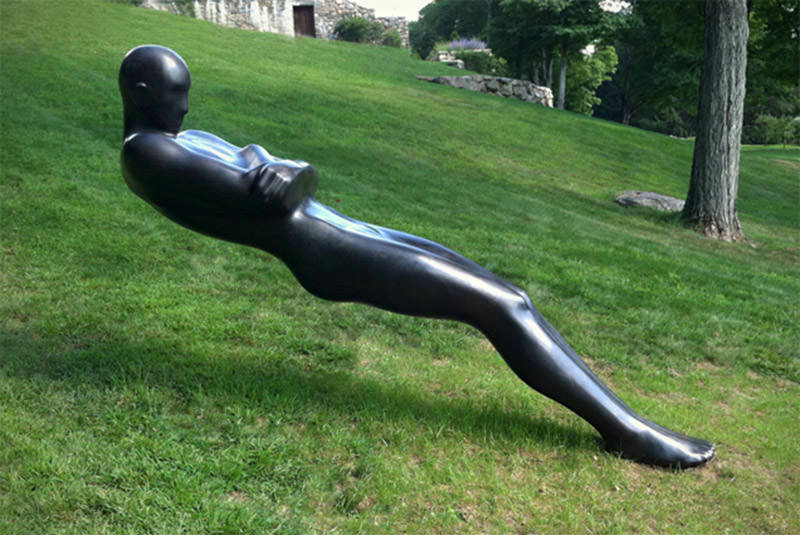 As if Michael Jackson’s Smooth Criminal’s gravity-defying stunt wasn’t enough, here comes a statue from Emil Alzamora pulling off a reverse Smooth Criminal. If you have never thought of human teeth as creepy, now you know better. The stuff of nightmares from Hitoshi Itoh. There’s more in his personal Flickr account. 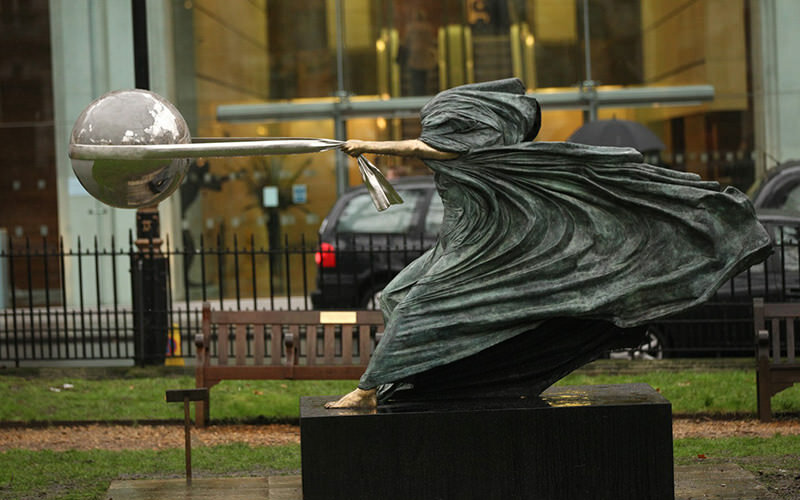 An amazing statue exemplifying the ferocity of Mother Nature’s wrath. She could you blow you off your toes if you don’t treat her right. At least this statue is still standing firm as a reminder for us to take better care of our one and only home. Watch as these brave ladies stand under this precariously suspended err, boxes? 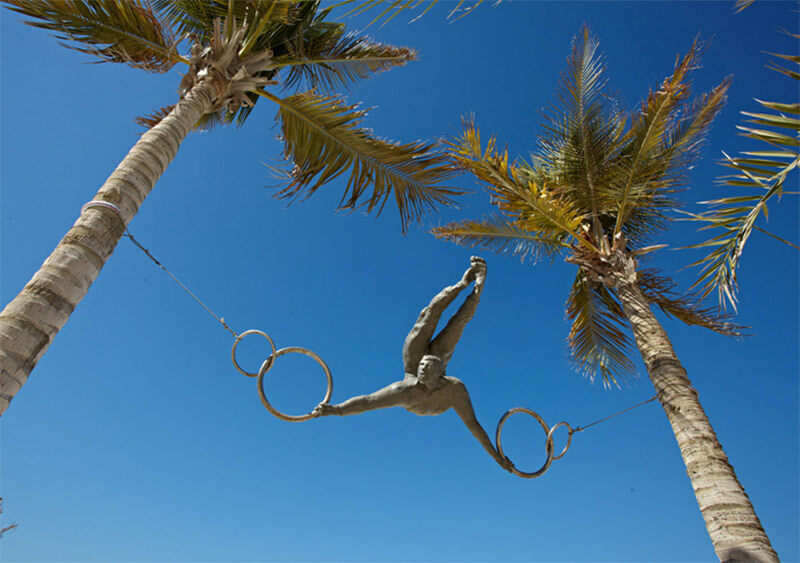 Balancing a sculpture on a thin rope is hard, but making one pose for gymnastic rings between two coconut trees is definitely harder. 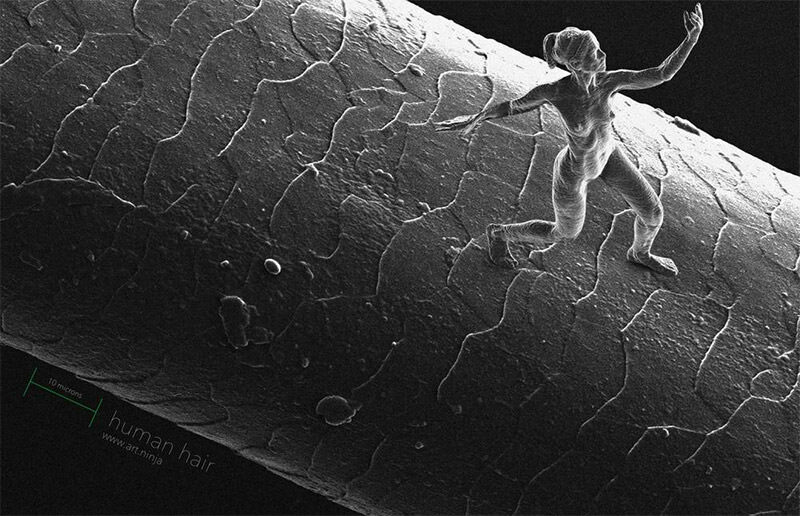 A structure of a lady on a cakey surface, nothing special about it until you realize that this is a nano sculpture that measures 80 x 100 x 20 microns, created on a strand of hair (the average diameter is 40-50 microns, for your reference). 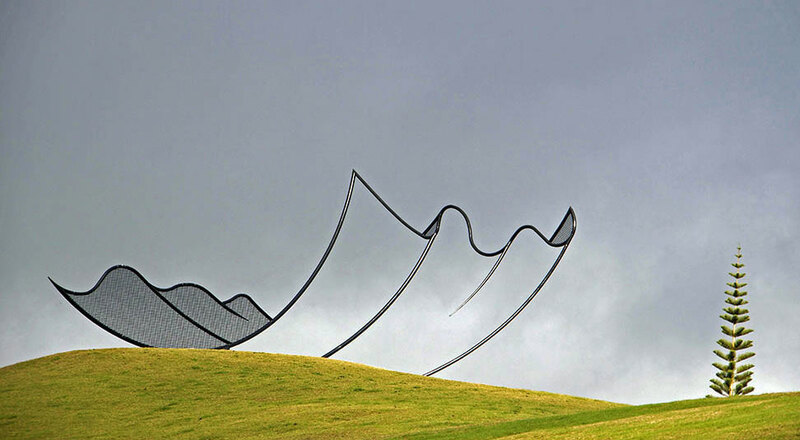 Have you ever seen a sculpture move? 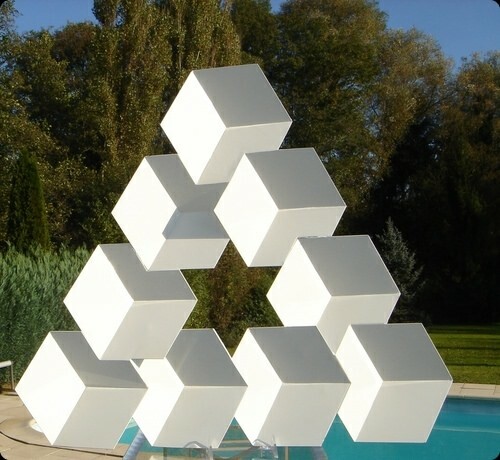 They are called kinetic sculptures, and according to Theo Jansen, they are a new form of life. 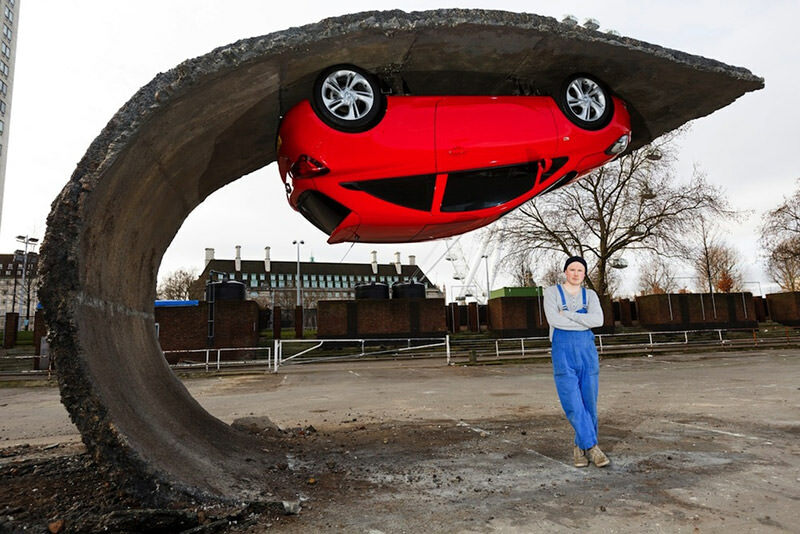 Poor car got caught in a pavement wave of the weird kind and got stuck there. 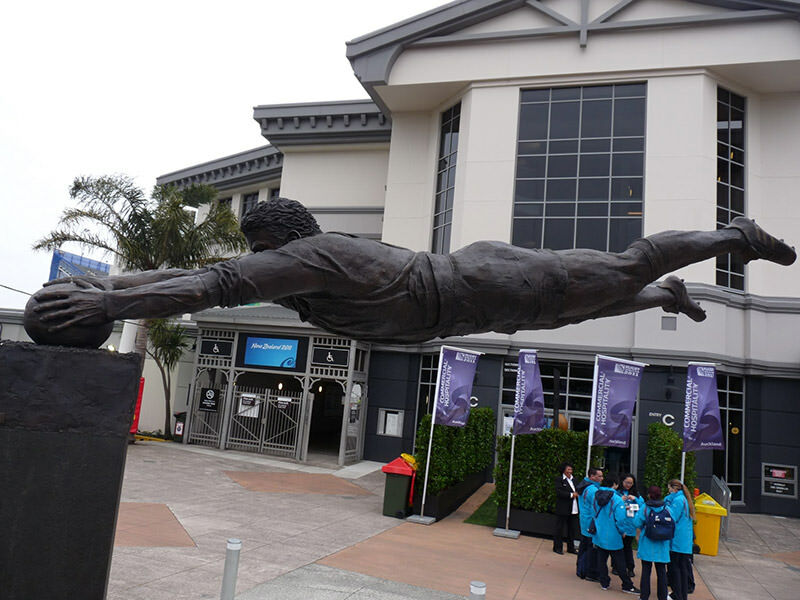 Not really a statue but come on(!) 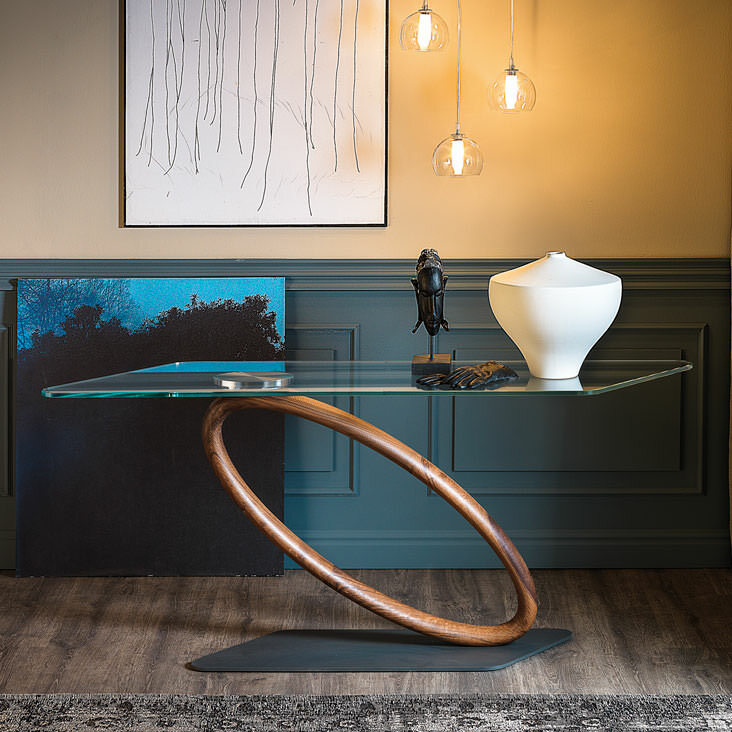 look at how that hoop is holding up the table. If rockets, don’t work, maybe these cars will get the deed done. Somewhere in New Zealand, a giant dropped his hankerchief. 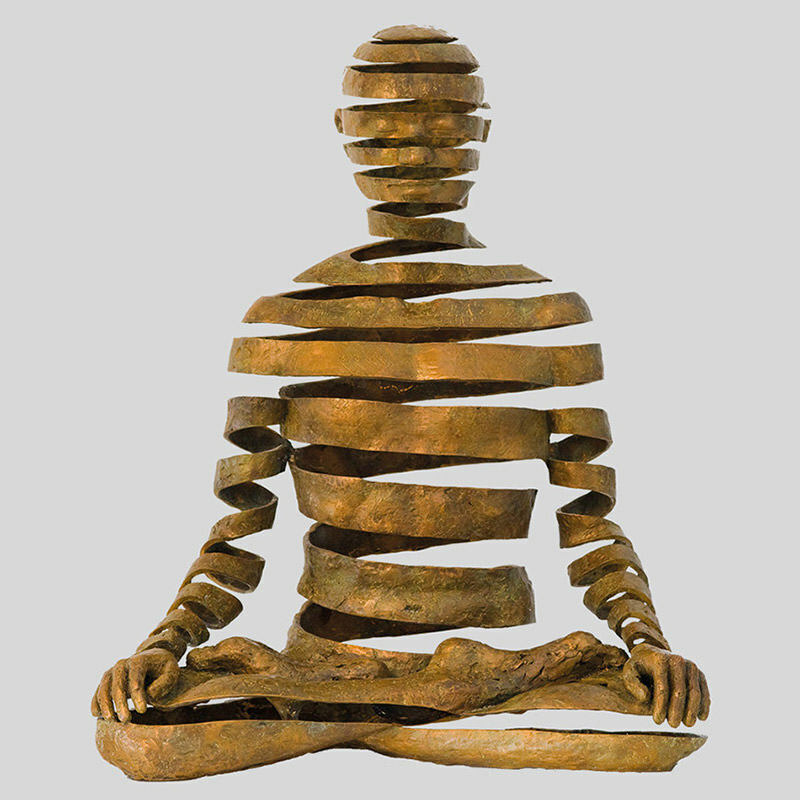 This is probably one of the most zen sculptures I have ever encountered. 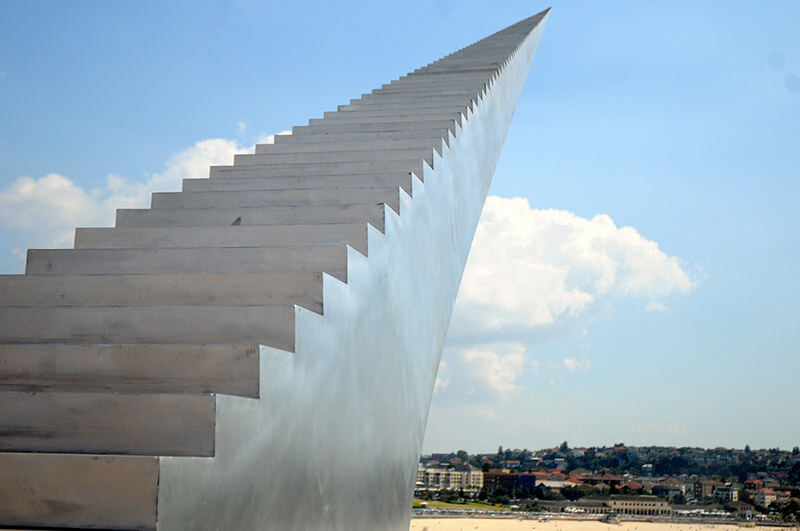 The stairway leading to heaven appears to have landed on a seaside in Australia. Someone broke logic and this is what we have to deal with now. That giant who lost his hankerchief, decided to do his laundry. 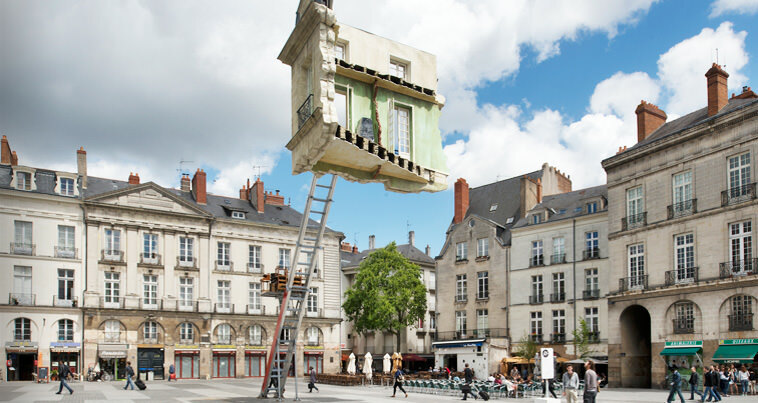 We all want to live in a castle in the sky, just maybe not this one. There are a few rooms, floors, walls, windows and ceilings missing. 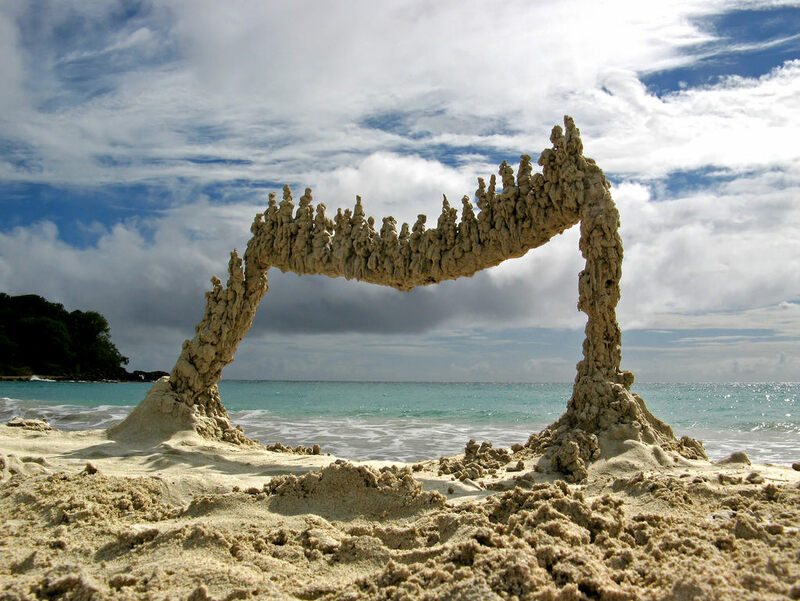 We are all familiar with sandcastles, but a sand sculpture that defies gravity? Probably your first time seeing one too. 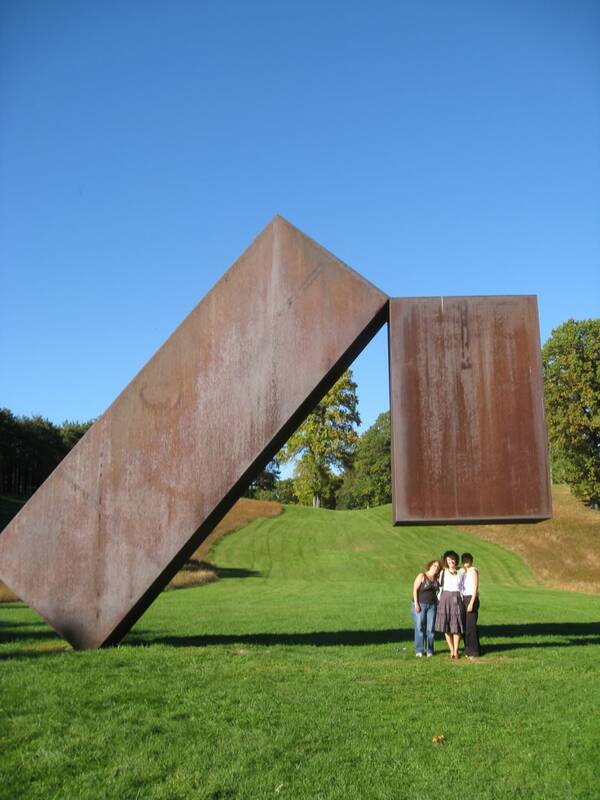 Here we are looking at a great display of knowledge of structural engineering and sculpting. 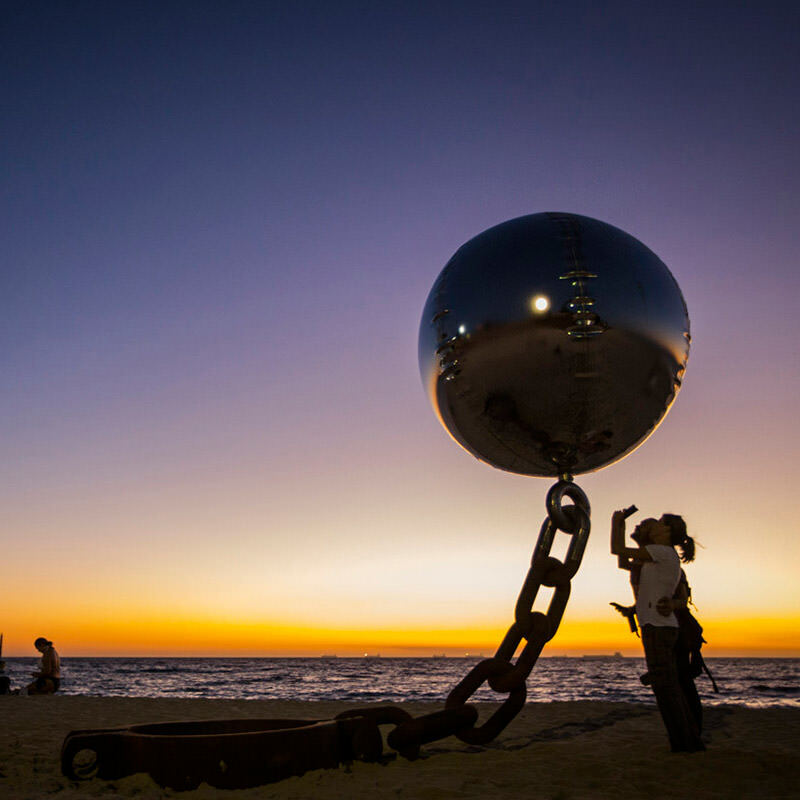 This ball-and-chain doesn’t look heavy at all. 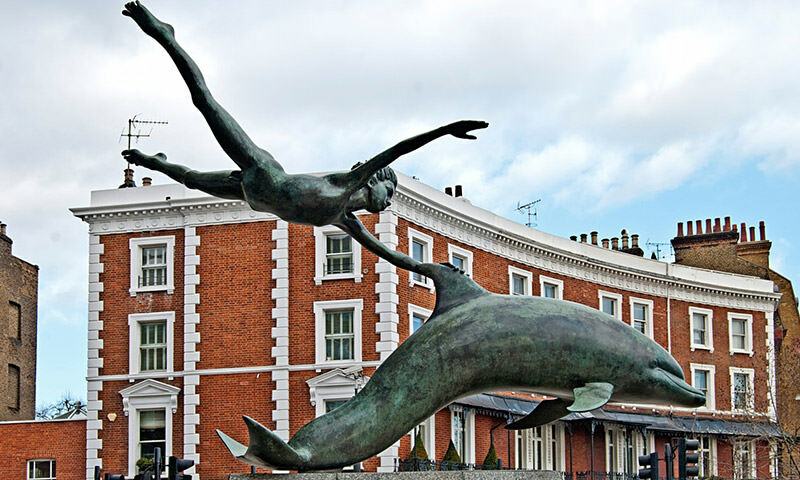 An amazing sculpture of a boy and a dolphin, great balancing act that makes people wonder how it’s possible (one word: cantilever). 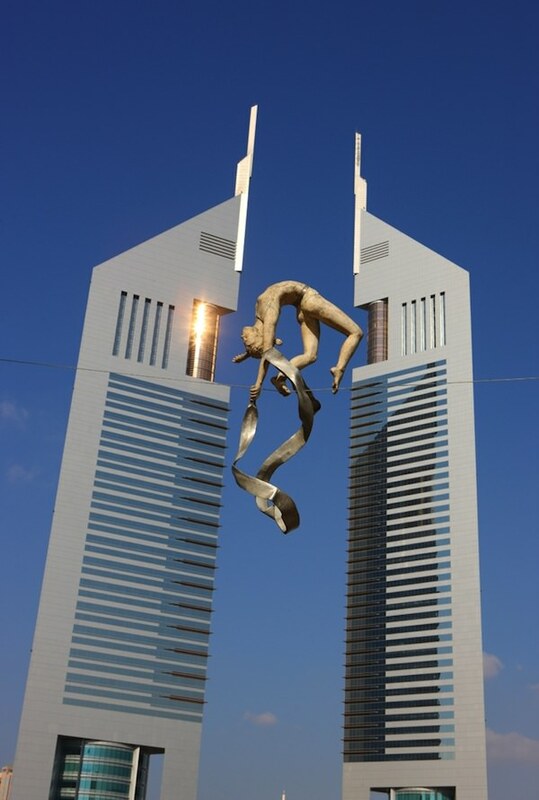 Suspended in mid-air supported only by a thin rope, this sculpture is an awe-inspiring, heart attack-inducing masterpiece. 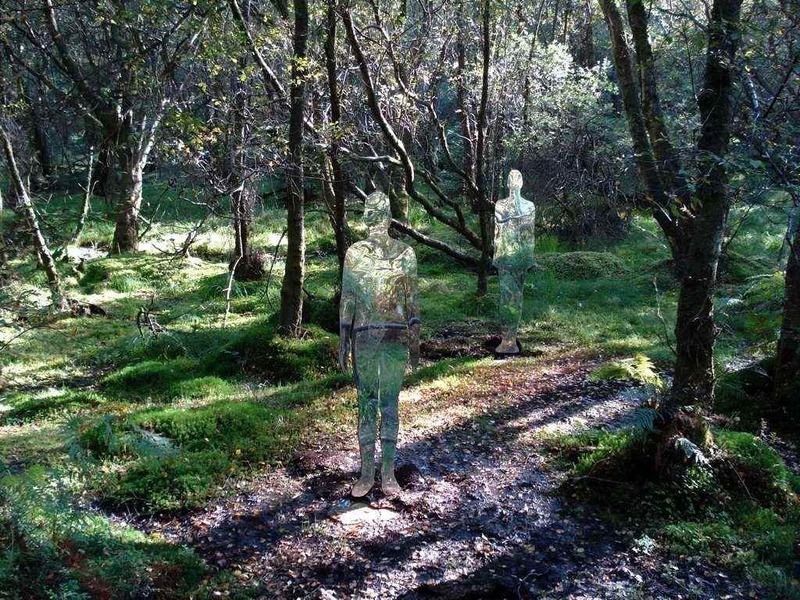 Something is broken in the matrix. 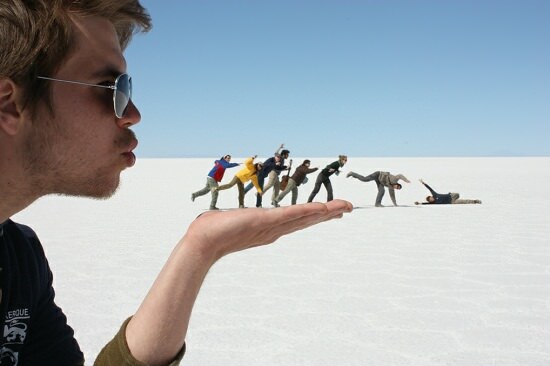 These guys didn’t load correctly. 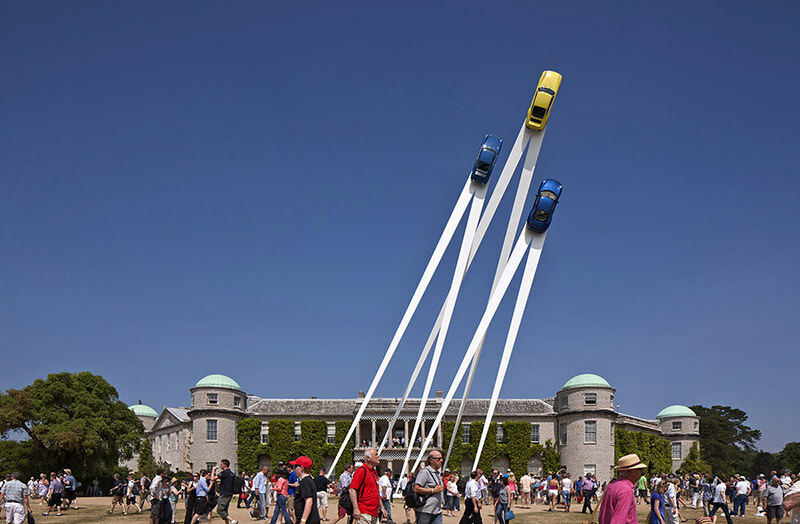 What are your thoughts about these physics-defying sculptures? 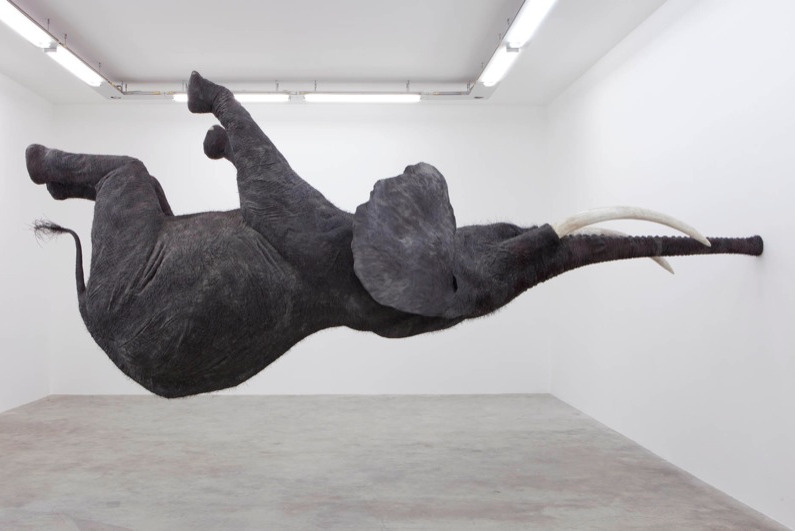 Did they freak you out or did they inspire you to make your own physics-defying artwork today?